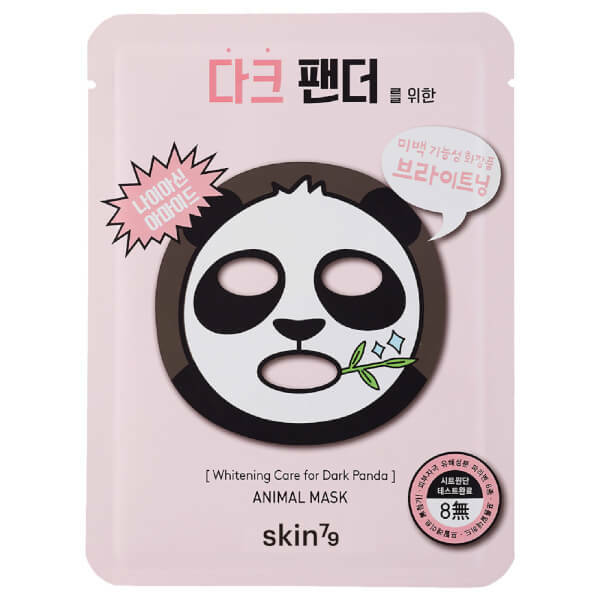 Banish panda eyes with the Skin79 Animal Mask; a fun, innovative skin brightening treatment developed by beauty-experts in Korea. Forming the shape of a panda, the nutrient-soaked sheet mask contains Niacin Amide and a Grape Seed Complex that work in synergy to combat the look of discolouration, hyperpigmentation and dullness. Free from harmful ingredients and unnecessary chemicals, it infuses skin with moisture and vitamins to reveal an even, clear and radiant looking complexion. Free from parabens, formaldehyde and phthalates. After cleansing use toner. Apply the mask and spread evenly over entire face. After 10-20 minutes, remove the mask and gently absorb remaining essence.